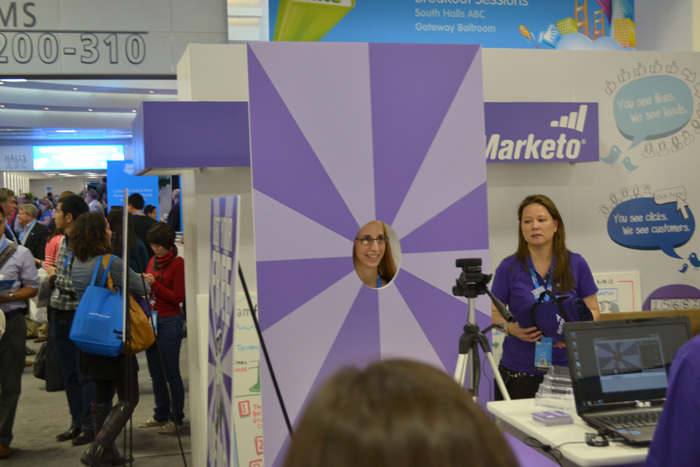 Last fall, Marketo approached Column Five to create a live installation for its booth at the Dreamforce 2012 conference, the largest annual event in the cloud computing industry. The challenge was to create something that would engage visitors in a memorable and unique way, something that would stand out on the convention floor and provide a welcome distraction for tired attendees. 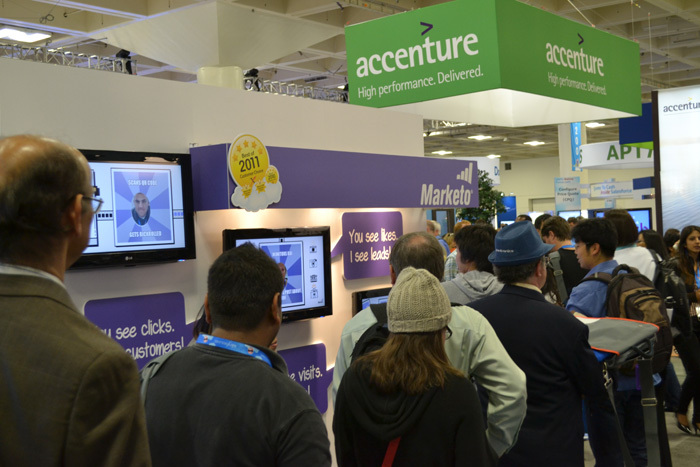 We wanted to create an interactive and fun experience that would draw visitors to the booth. To capture the interest of this tech-savvy crowd, we thought of one thing in particular: memes, which are jokes delivered in the form of an image and caption that features a setup and punch line (think Grumpy Cat or Scumbag Steve). 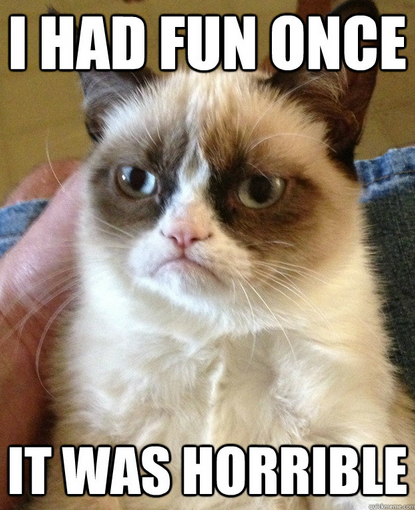 Memes, such as Grumpy Cat, thrive on people creating their own punch lines. Memes can go viral thanks to online meme generators, which allow you to create your own versions of existing memes. It’s this personalization that adds to their novelty and entertainment value. For Dreamforce, a conference with its own culture, lingo and buzzwords, we knew we could engage attendees by allowing them to become their own memes. Inspired by such online generators, we decided to bring the meme to life by building the very first live meme generator. We designed a setup that allowed attendees to lend their own image to the meme. 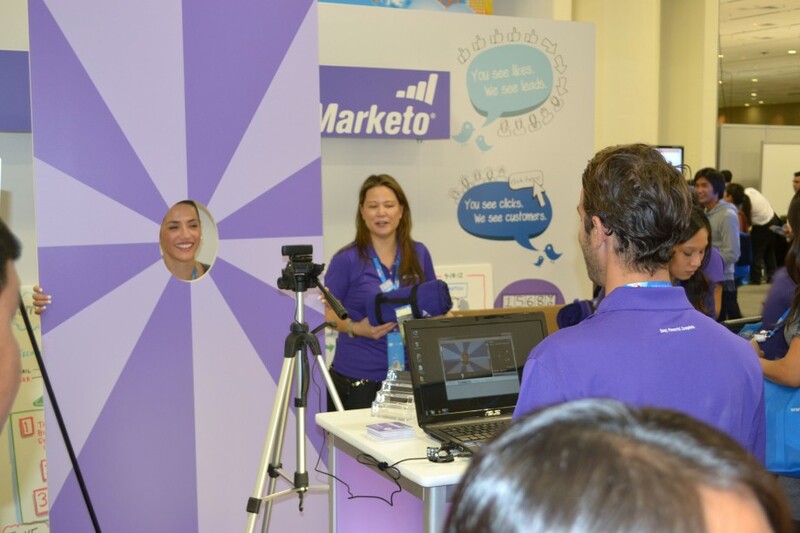 Participants could step into the background of the Marketo meme booth, have their photo taken, and a computer program would auto-generate a joke relating to the conference. The installation required collaboration from several C5 departments. Our copywriters produced hundreds of conference-themed jokes, which we ultimately pared down to 52, giving enough variety to keep participants surprised by the punch lines. Our development team wrote the code that auto-generated the jokes, and various C5 guinea pigs volunteered for our in-office test runs. 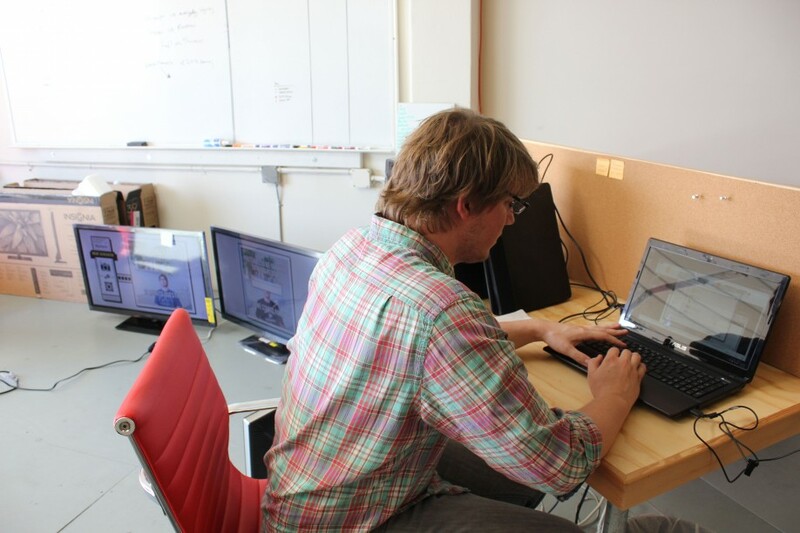 Programmer Danny Miede tweaks the program code during the first office run-through. The first office test shots to make sure the jokes are auto-generating. 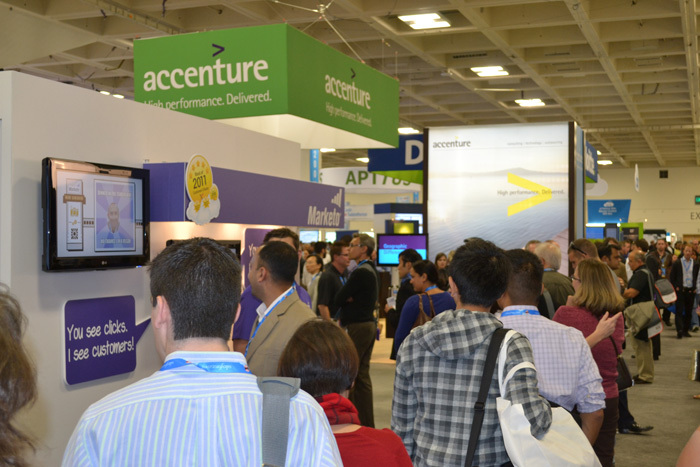 When every screen, laptop, and piece of code was ready to go, we headed to San Francisco for the debut. The final interactive installation consisted of three main features. First was the meme backdrop, where participants had their photos taken. 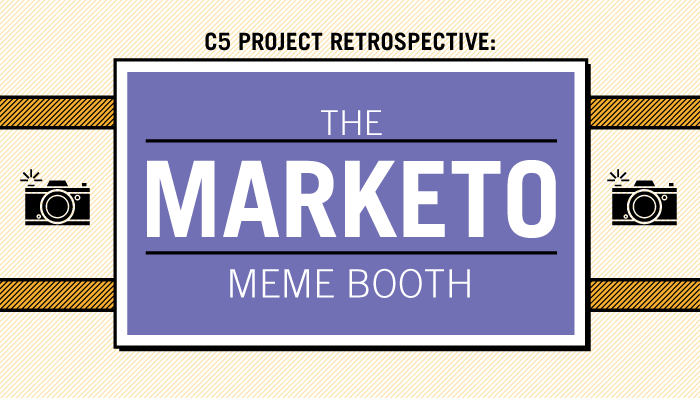 We recreated the classic meme starburst art and incorporated Marketo’s eye-catching brand colors. Participants get their photo taken to “meme” themselves. 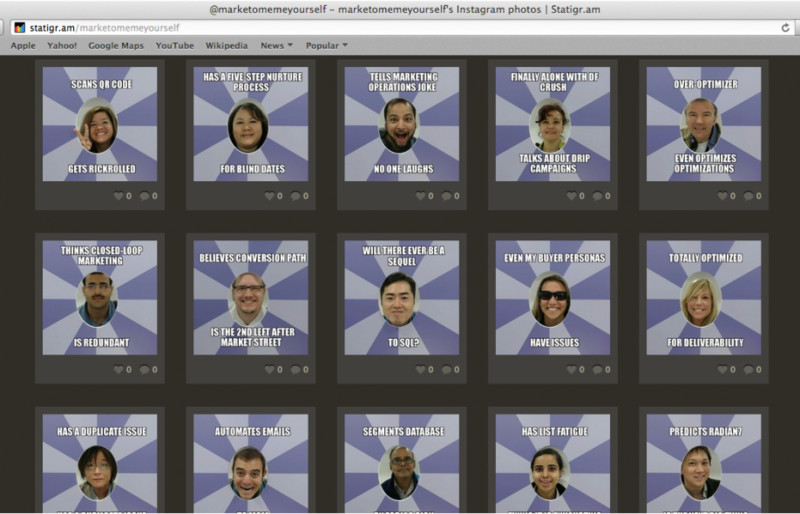 Next, the image was processed, paired with the auto-generated joke caption, and shown on screens in the booth, so that participants could instantly see themselves “memed” and share a laugh with their friends or coworkers at the convention. In-booth screens show visitors the meme photos taken. The in-booth screens cycled through a gallery slideshow of memes. This grabbed the attention of passersby, who could stop and enjoy the images—even if they were too shy to participate. 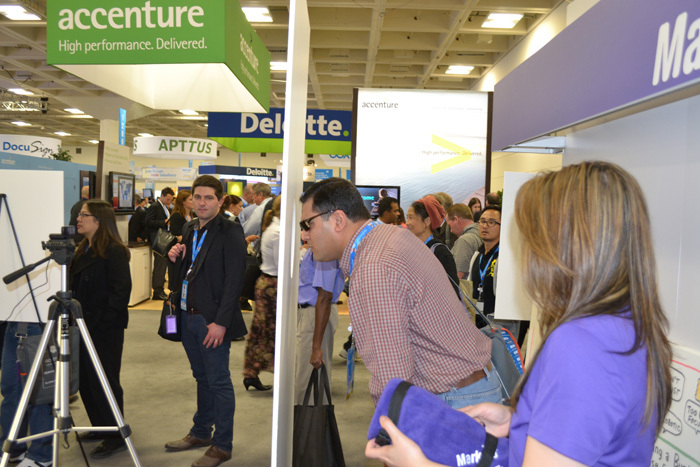 Participants wait in line for the Marketo meme generator. The third feature of the installation was the online meme gallery. Images were uploaded to Instagram, and viewers could like, comment, and share them via multiple social platforms, including Twitter and Facebook. 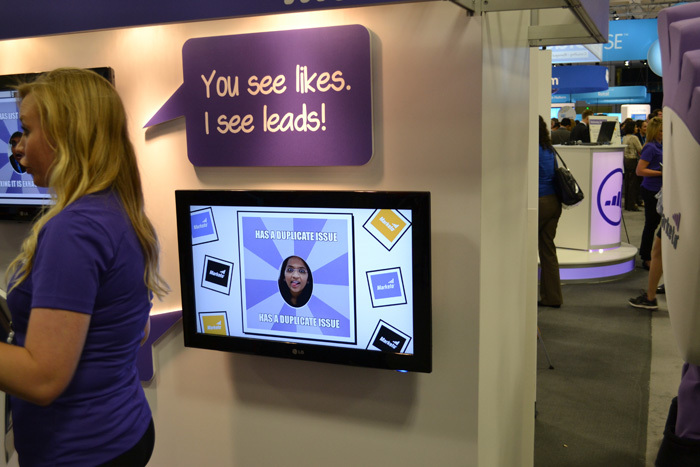 This way, booth visitors could share their favorite images with their larger social networks, both during and after the conference. The online gallery let viewers share their favorite meme photos via social platforms. By the end of the conference, we had nearly 1,000 memes generated. We already have a few ideas for next year. LOOKING FOR UNIQUE WAYS TO ENGAGE YOUR AUDIENCE? LET’S CHAT.